Landscape lighting kits have caught my attention ever since my former boss invited the whole marketing team to her private beach house. I was amazed by how professionally designed the lighting was and started formulating my own landscape lighting ideas. I especially loved the lighting on the pathway leading to the beach. I asked how much the lighting alone costs and was amazed to find out that it isn’t even close to what I expected. She said her brilliant husband installed it with the help of their gardener. I immediately did my own research regarding this new-found gem of an idea. Here’s what I found and have installed for some of my clients. There are solar lighting kits you can purchase that come in different styles, sizes, and colors. It is also so easy to install because all the parts are included in the box. I am a bit intimidated by complicated wirings when it comes to these fixtures, but luckily, solar lighting kits do not require wiring. They are powered using photocells that will turn on once the place gets dark. They turn off automatically too when there’s enough sunlight. However, solar lighting is not as bright as other choices unless you use the hybrid type. 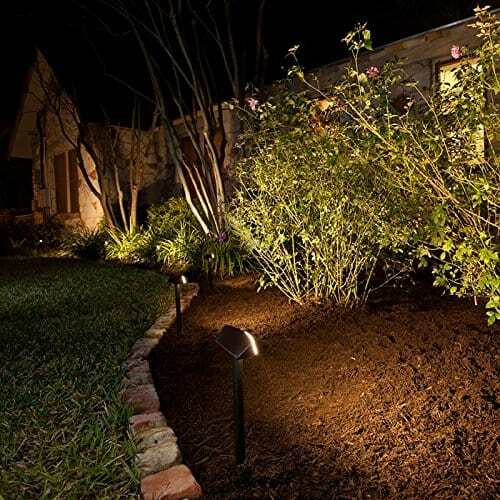 In places that are too dark for solar lighting, the best choice would be a low-voltage landscape lighting system. It is much brighter than solar lighting and makes pathways and entryways safer and brighter for everyone. Low voltage lighting kits also offer better control over the light beams than solar lighting systems. However, it is more expensive and the installation is semi-permanent where the lights are staked into the ground. The transformer included in the kit also holds a lesser number of lamps. 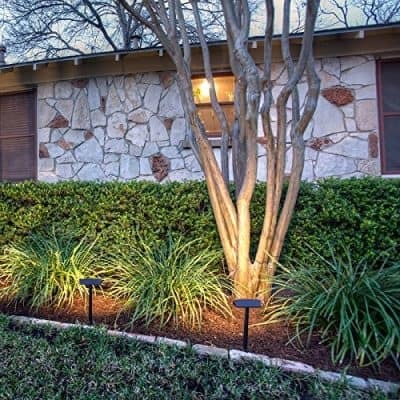 Why Use Low-Voltage Landscape Lighting? 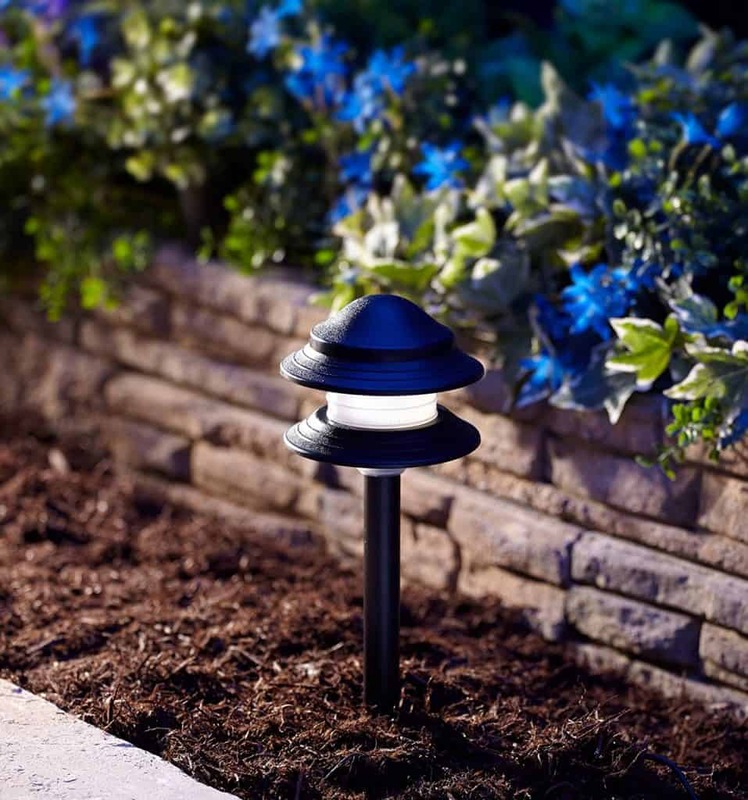 Low voltage landscape lighting is exactly what it says; instead of using regular type bulbs for your yard or garden, low voltage bulbs are used to illuminate your property especially during night time. But will low voltage lighting be enough to provide the best lighting solution for a huge garden or what about certain weather conditions? Low voltage systems operate on only 12 volts, this means that it can provide efficient lighting in the most cost-efficient manner. Operating on just 12 volts saves you so much on electricity bills allowing you to have more money to spend on other things in your home. Aside from giving you a lot of savings on your electricity bills, you will also find that low voltage systems are easier to install compared to 120 volt systems. In a regular outdoor lighting system, you will need to use 120-volt current from inside you home which needs the assistance of an experienced electrician or landscape artists that will install landscape lighting. So for the low-voltage lighting, you do not need to hire a professional which saves you a lot of money as well. Low voltage landscape lighting is also safer compared to 120 volt systems. There are different types of low voltage systems and no matter what size, shape or brand the system is, there are only a few basic parts. First is the transformer which plugs into an outdoor electrical source, reducing the voltage from a regular 120 volt to only 12 volts. These transformers are easy to operate because most are equipped with a timer to automatically power on your landscape lighting during certain times of the day. The low voltage landscape lighting cables are another component of this smart system. Cables may vary according to the size of the transformer and the length of cable wire you need. If you have doubts, contact customer service to find out the ideal gauge of wire that you will need for your transformer. 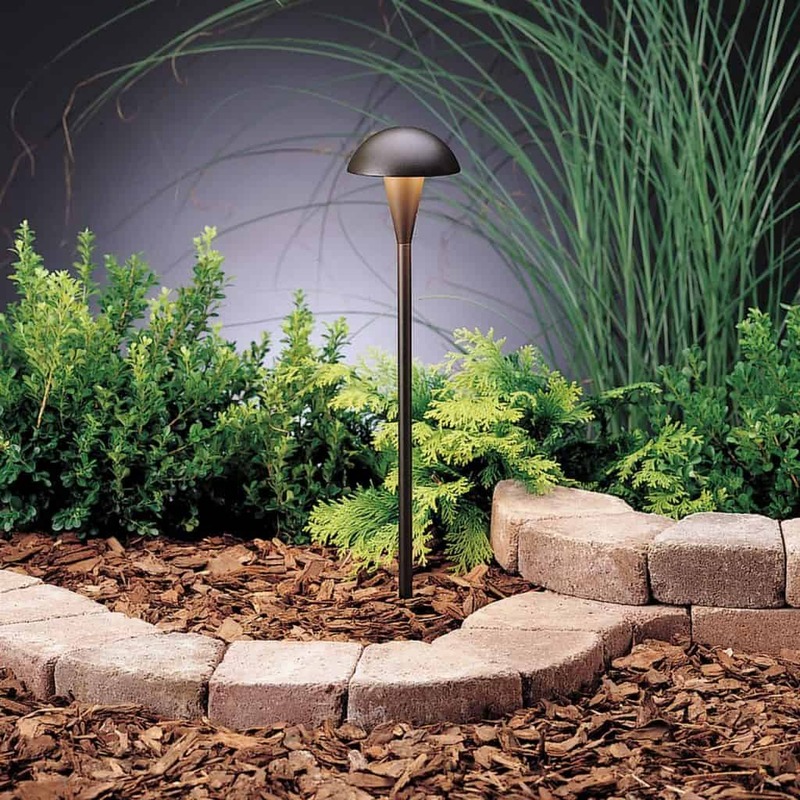 On the other hand, pathway lighting and accent fixtures are very important in creating a low voltage landscape lighting solution. You can find a lot of lighting systems that use 12-volt lighting. 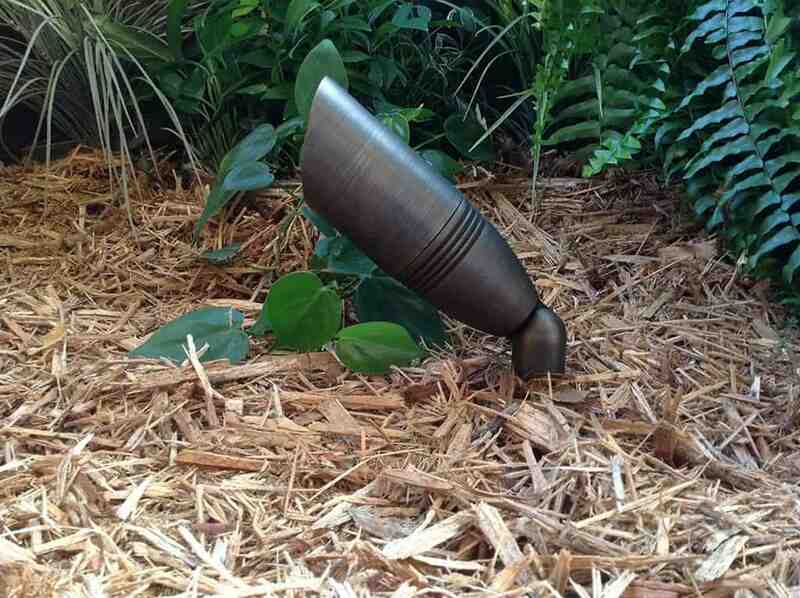 These fixtures will make your garden or yard one of the most amazing places to be in day or night. Think about all the great savings that you will get if you rely on low voltage lighting solutions for your home. 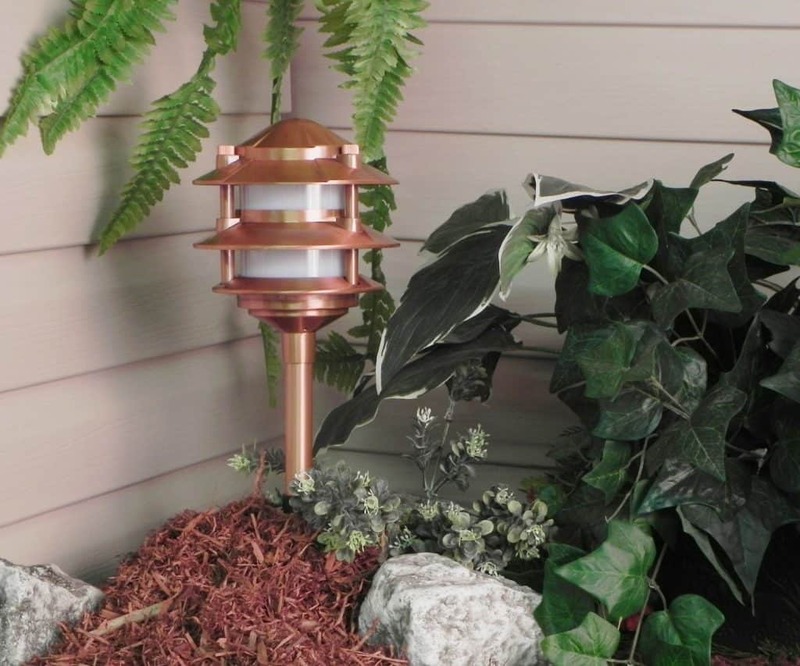 Accent lighting is using lighting to highlight special things in your yard or garden such as a statuette, a fountain, the edge of a koi pond, the carvings found on your patio columns and so on. As the name implies, accent lighting is enhancing the beauty of these things in your yard, especially in the evening. 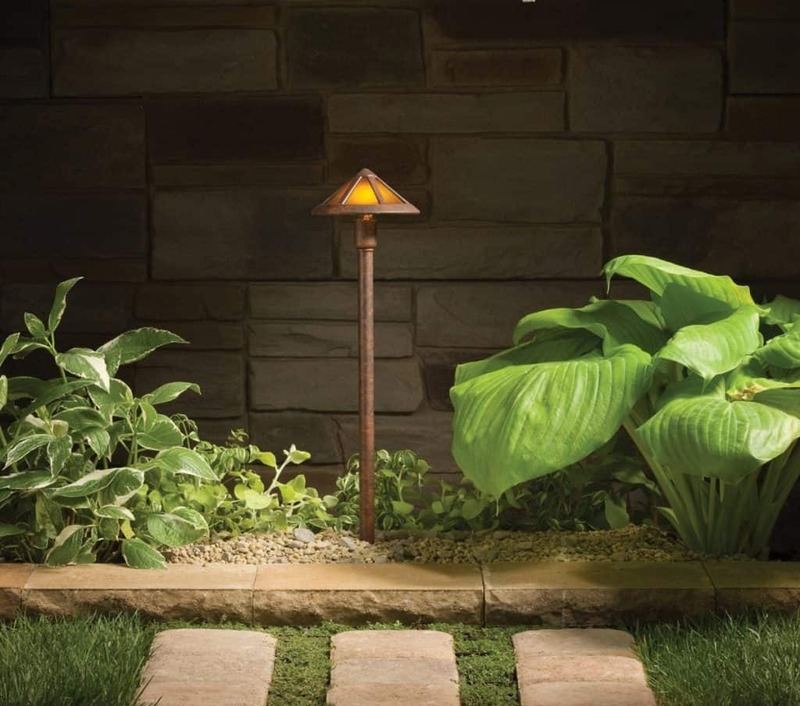 Path and spread lighting is Kichler’s specialty and this is lighting walking paths, as well as garden, spreads that are found in your garden. 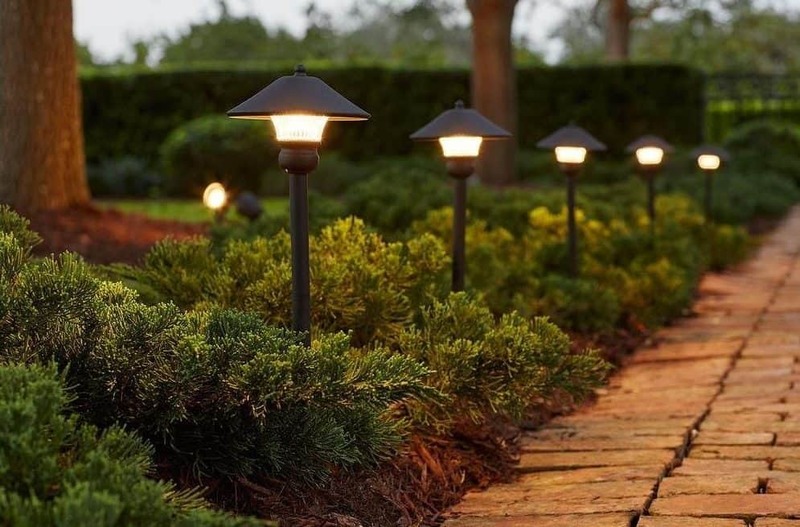 Unless you have lamps all over your yard or garden, which could dramatically increase your energy usage, by the way, you can use path lighting to effectively and efficiently illuminate important areas in your yard. Water lights are another Kichler landscape lighting solution that will make your pond, fountain or water feature more spectacular during the night. Water lights could be underwater lighting, spotlighting or LED lighting that will enhance your outdoor water feature. 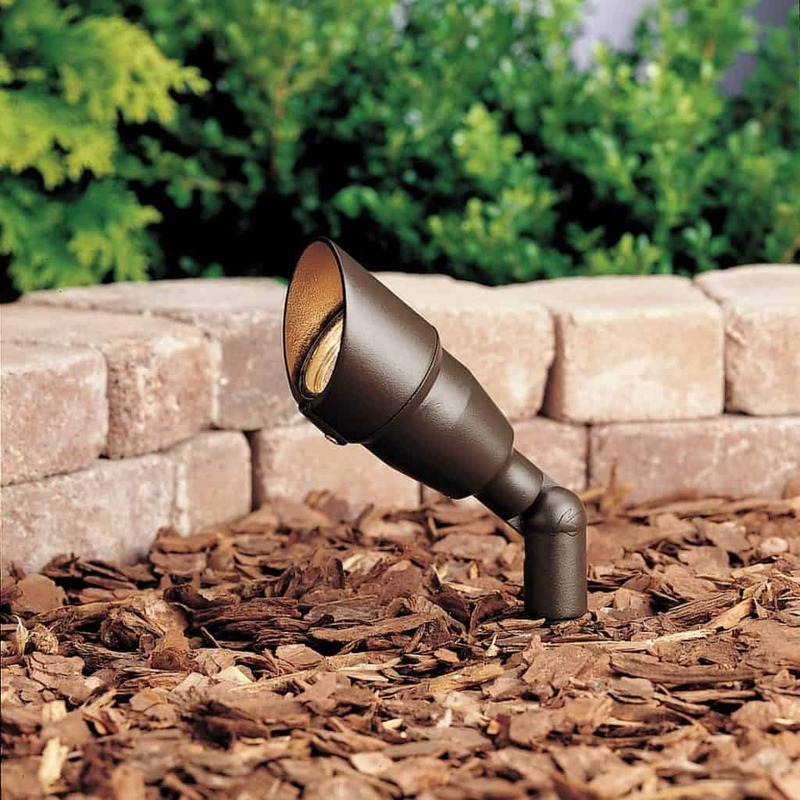 Kichler landscape lighting also includes very important lighting and landscape accessories that contractors and homeowners need to make their gardens spectacular no matter what season it may be. There are LED lamps, landscape 12v bulbs, water lighting solutions, lighting controllers, transformers and so much more. 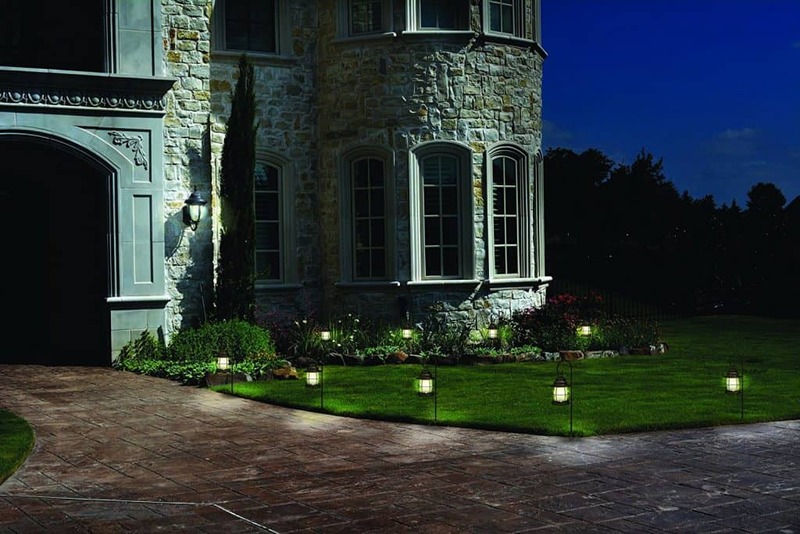 Malibu landscape lighting can make a creepy lawn look welcoming with just a flip of the switch. Before I installed my own landscape lighting I made sure that I had all the information I needed to make the transformation possible. The problem is that photos found on the Internet can never do justice in showing the beauty of landscape lighting when seen by the naked eye. I can, however, attest to the joy that better lawn lighting gave to me and my family. Because of that, I want to share how I made the transformation possible. Large areas and entrances require stronger lights. Some parts of the house like driveways and gates should have lights powered by a 120-volt current. I highly suggest hiring a professional electrician to install the wiring to the circuit box. It is important that the cables and other fixtures are properly covered using a protective conduit. 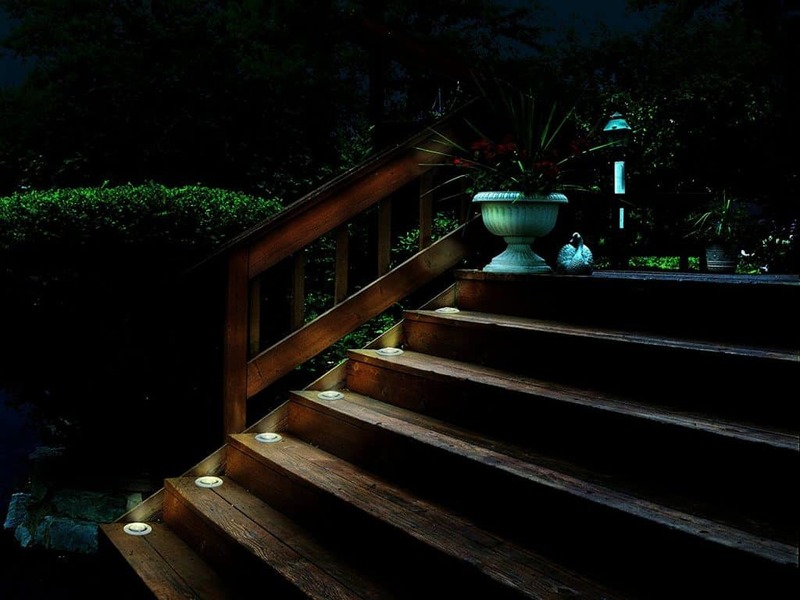 Other low voltage lights like floodlights and path lights can be installed without the help of a professional. They use wirings that don’t need to be buried underground. 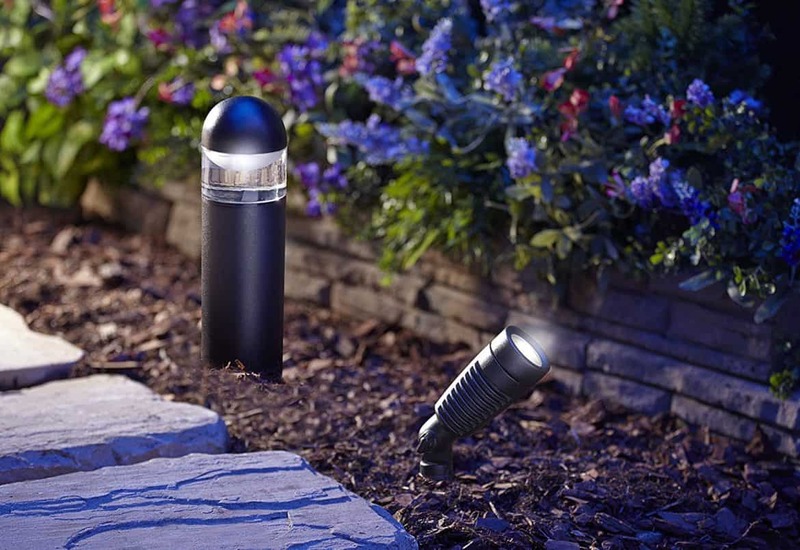 The third option for landscape lighting uses solar power. Solar-powered lights are however dependent upon sun exposure. We don’t get to benefit from it if they are placed in the shade. 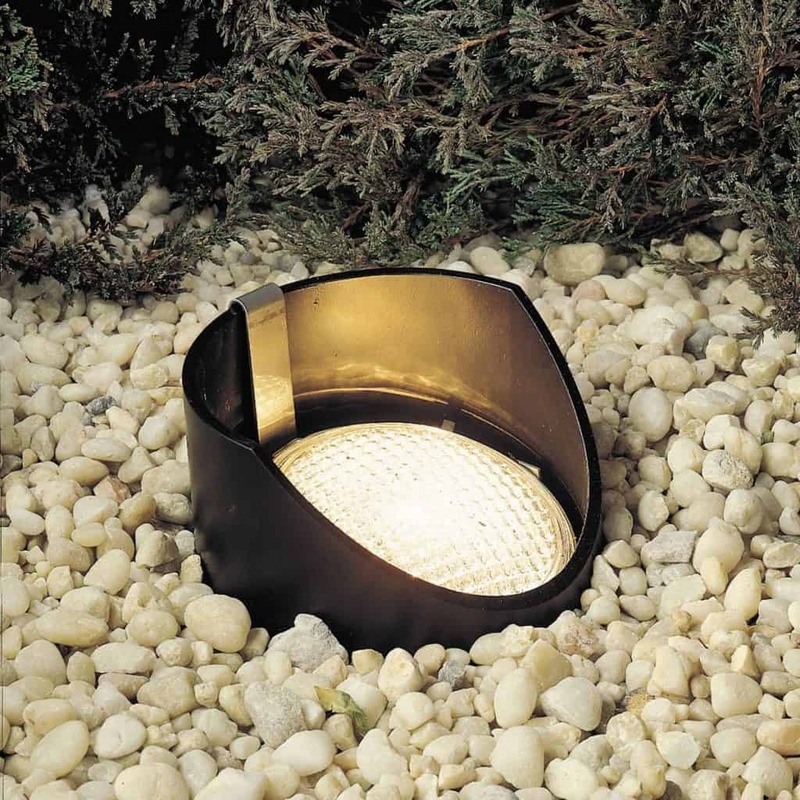 They are therefore best used to light open areas and pathways. 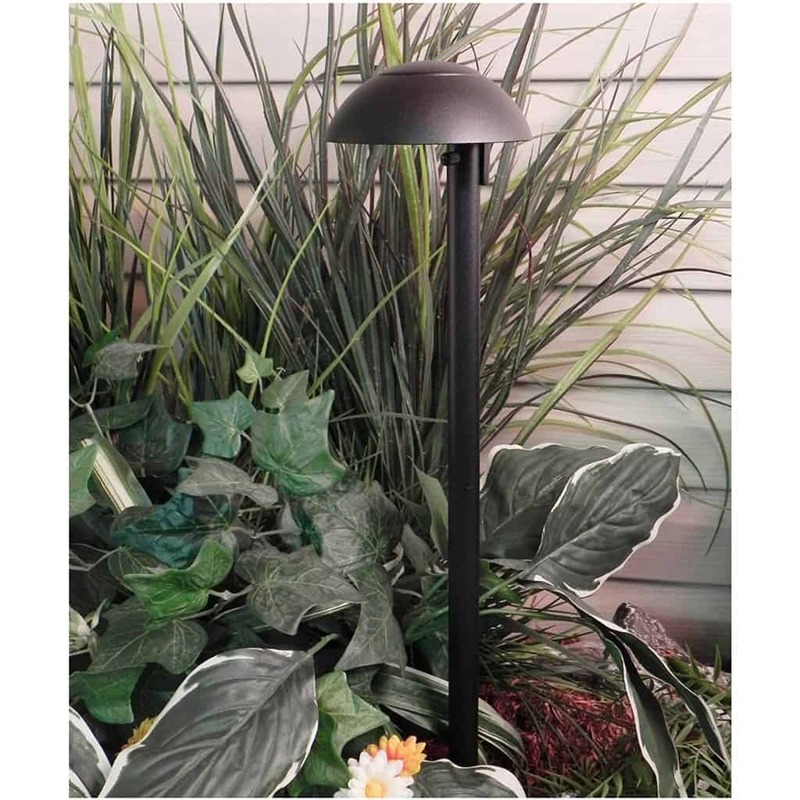 There are many types of Malibu landscape lighting to choose from. 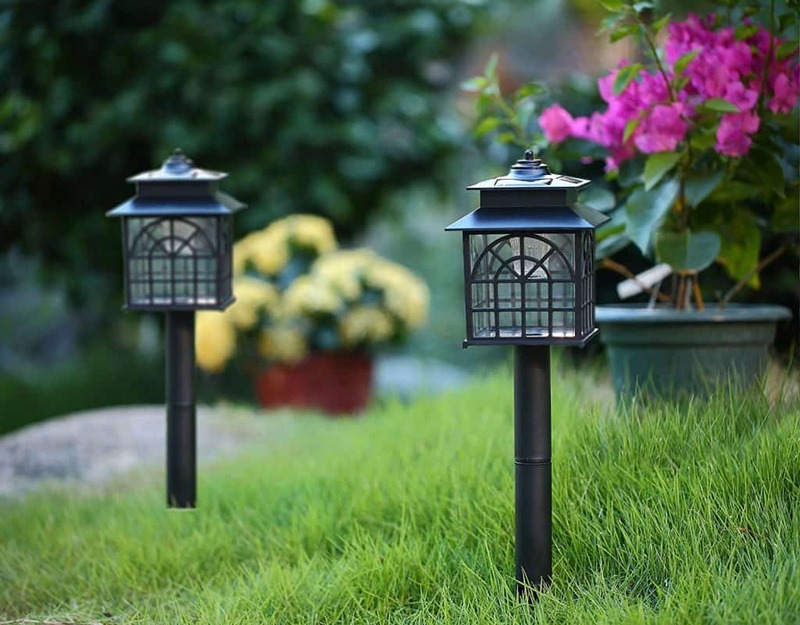 My personal favorites are entry lanterns and path lights as they are the most functional. Entry lanterns use 120 volts of current. I chose sconces with frosted glass to lessen the glare. 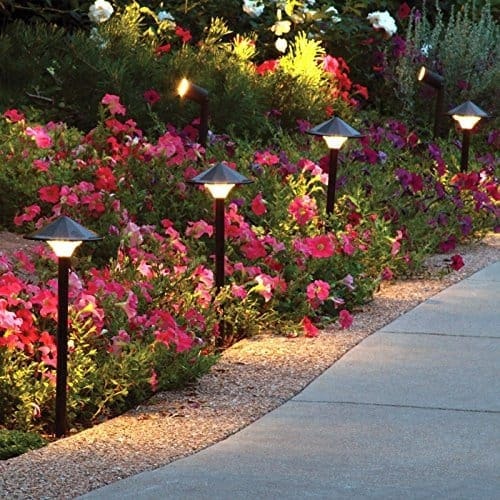 I am definitely proud of my path lights as they illuminate the walkway and emphasize the beauty of my blooms. I chose low voltage lighting since my entry lantern already makes the walkway visible. I just added a few path lights for additional safety. 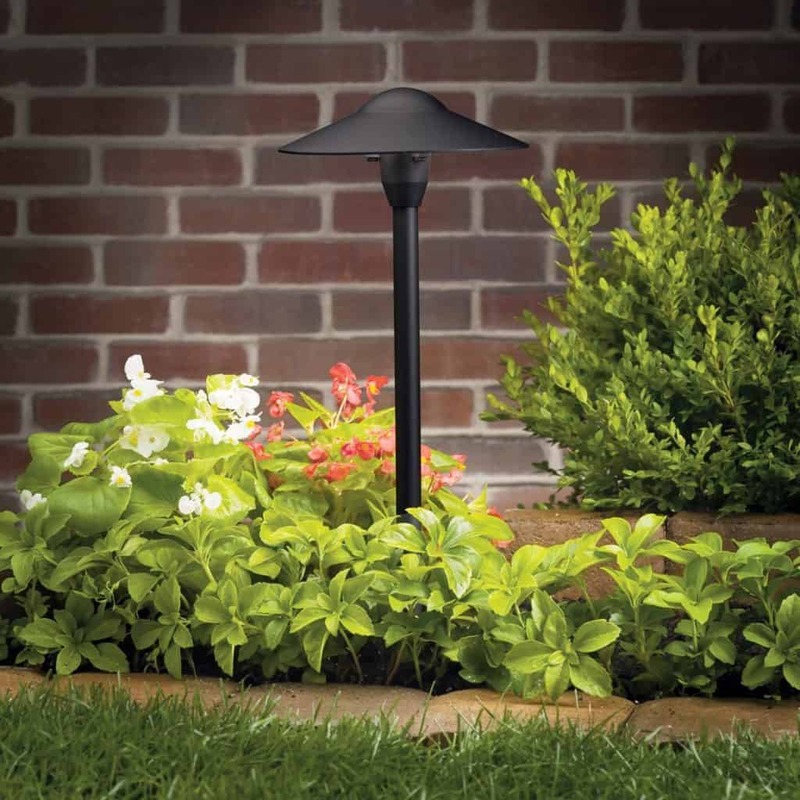 Other landscape lighting ideas that can be used to illuminate gardens and lawns are floodlights and spotlights. I even see some pendant lighting in my neighbors’ houses. Shrubs and statuaries look great during the night when highlighted by spotlights while pendant lighting serves as decors when hung in trees and pergolas. 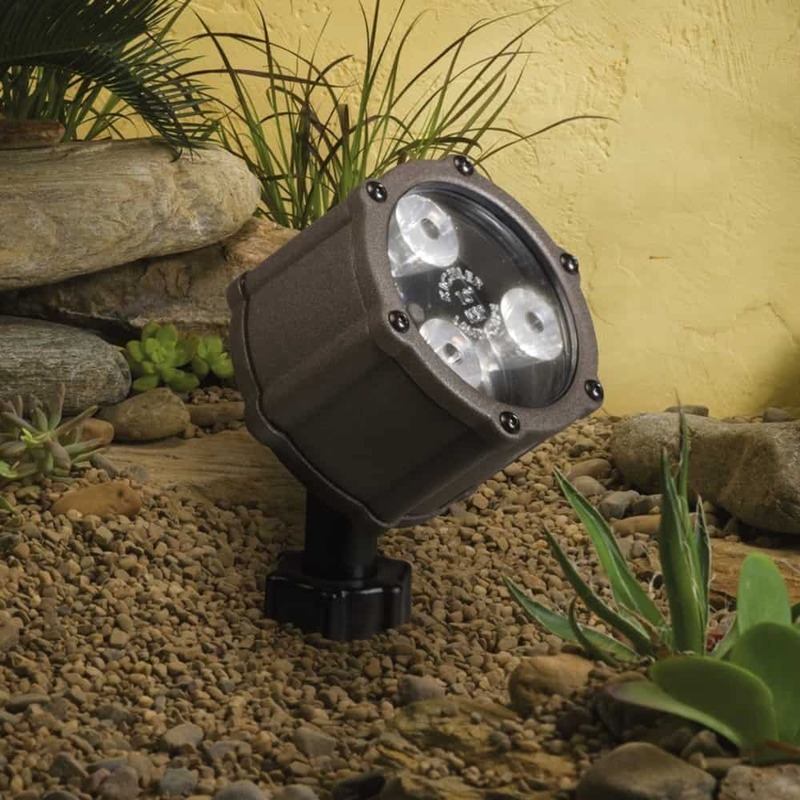 These Malibu landscape lighting options will illuminate lawns and gardens both for beauty and security. I suggest that homeowners plot out their plan on a graphing paper before actually installing them. 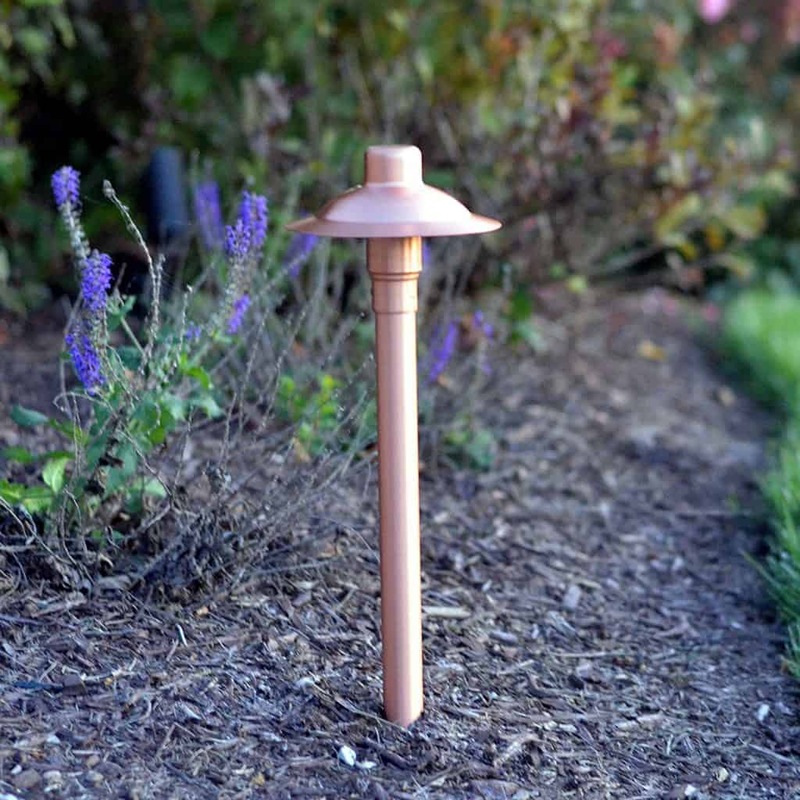 This will help make sure that the landscape elements such as fences, trees, garden beds, and pathways are properly illuminated and that the cables are properly hidden. When it comes to lighting up foliage, there are many options available. I find the idea of using up lighting, spread lighting or down lighting in the garden. Landscape lighting kits are definitely functional especially since adding dimmers means I can switch from different lighting effects from time to time. I love making gardens and Tree-islands “pop” at night if I place an up light inside a large tree surrounded by good-looking shrubs. The wind will create graceful shadows on the house and your outside living space will become a great place for relaxation even in the evening. 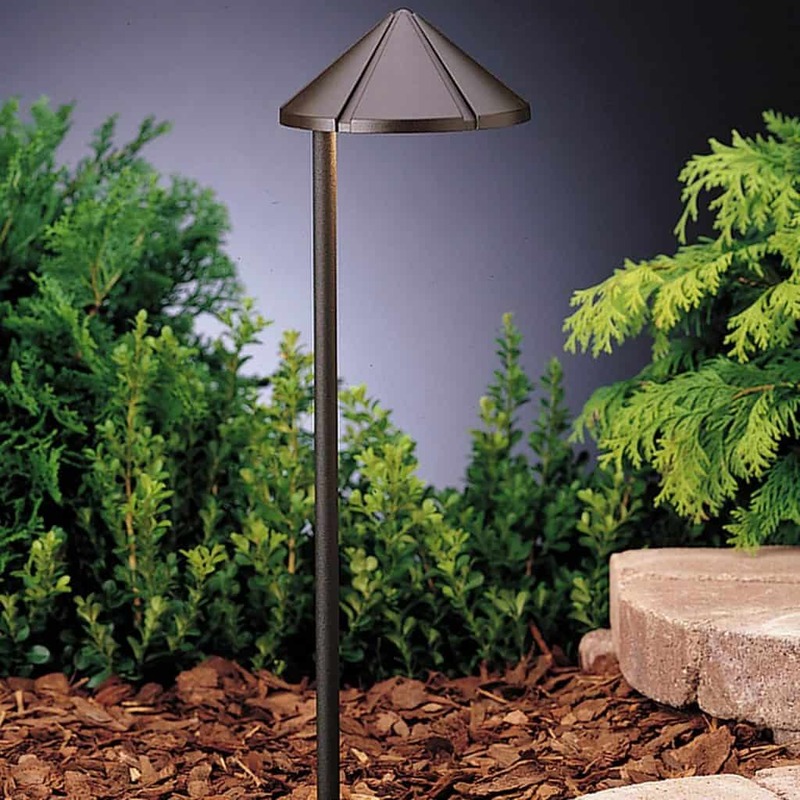 Another landscape lighting idea is to use the fixtures to shield some of the light. They can serve as a lighting control that I can direct downward or upward or anywhere I’d like. I the beautiful glow it creates which I prefer over glaring light. Soft lighting is much more beautiful on residential properties while bright lights can prove more beneficial in retail or commercial establishments. 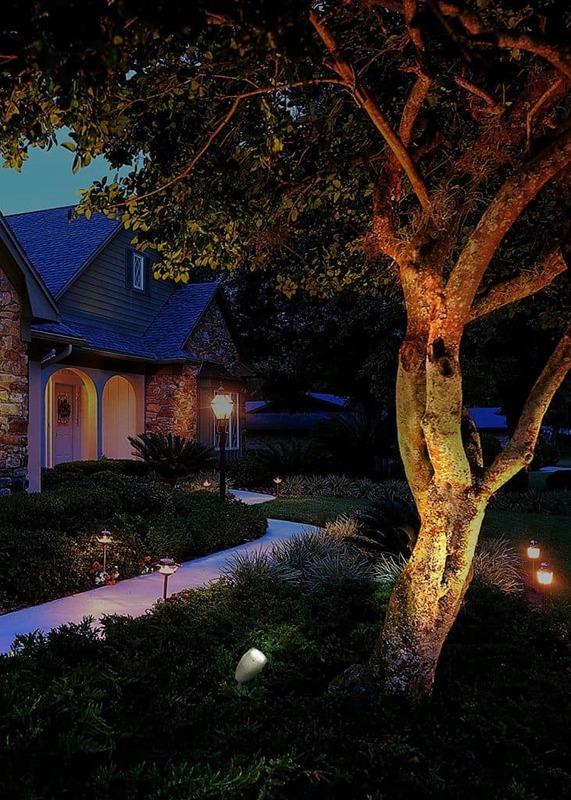 Landscape lighting kits are the most convenient way to add an interesting glow to your home’s landscape design. But my #1 tip is: Don’t compromise safety! It is more important to me that my outside space is well lit, rather than looking good. It will feel a lot safer to navigate plus it will give me and my family a space for entertainment and relaxation. There are so many ways to make your garden or yard an outdoor paradise. 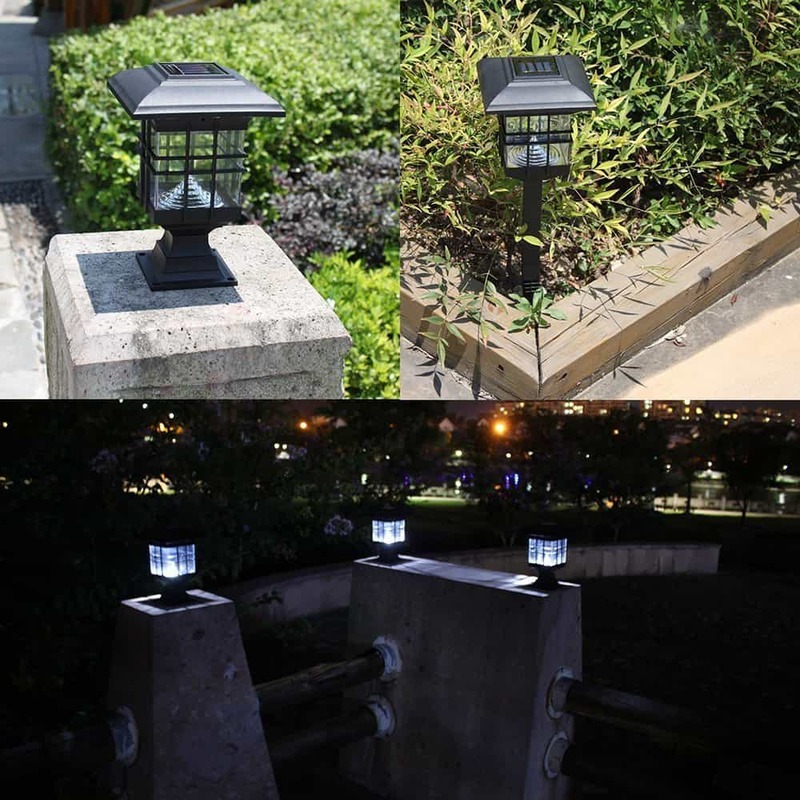 It takes a high-quality landscape lighting to make a beautiful and charming garden landscape that will wow your guests morning and night. So many lighting options, so little time! We install driveway gates and use 120v lighting for safety purposes, which does require expert installation — definitely not a DIY job. Like you said, it’s the best option for driveway gates because the last thing you need is low lighting when you’re trying to navigate at night. Of course, our clients take into account aesthetics and surrounding landscape lighting as well. Great post! I think my landscape could benefit from having lighting installed. It’s nice to know that it’s a good idea to plan to focus the attention on certain areas of your backyard. That will be really helpful once I figure out what part of my property I want to emphasize. Hi Blake, great landscape lighting ideas. We’ve spent a lot of time landscaping our property, and setting up the lighting is one of the last big things we need to do. We’re trying to do as much of it ourselves as we can.